The design work, text and photographs on this site belong to ©Ellen Hutson LLC and each individual contributor to this site. This information is shared to inspire you. All content on this site is not to be used for commercial purposes without explicit permission. Thank you so much for your support! How can I store it? As many of you know there is a LOT going on in my life right now. The good news is that we are continuing to make it through each and every day and prepare for the next - LOL! It's official we have a move date (or perhaps better said approximate move "dates"). We (hope to) begin the move on Wednesday, May 7th and (hope to) be completely finished and packing and shipping orders again by Friday, May 9th. This is all dependent on other's getting their jobs done in a timely manner and being this is out of our control we just have our fingers crossed. Our goal is to have it all happen smoothly next week being we have been working hard at preparing for this, but please know that we will be "down and out" for a couple of days. We will not be able to ship your orders on the same or next day to when we receive them for a couple of days. I do want you to know that we will have as many of the girls working on orders as possible as soon as we have our supplies unpacked in the new space so that we don't run too far behind. As soon as our new phones are connected I will post those telephone numbers here on my blog as well as on the home page of our storefront. Until then we will continue to answer the phones as best as possible at our current number, as well as try and keep up with the emails. Sometimes there are times when I just get giddy over the littlest of discoveries. You know how I am a stickler for color - I am thrilled to share the latest bellies I have found. 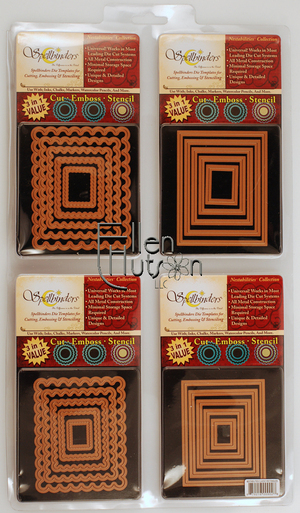 They coordinate BEAUTIFULLY with the Memory Box papers and when all piled together look absolutely scrumptious. 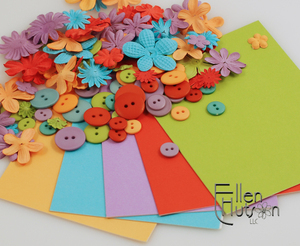 I'm not certain why paper, flowers and buttons could ever be scrumptious - but they are! LOL! Look at these and these! 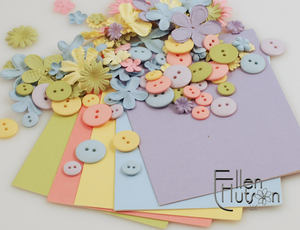 Then there is the spring or pastel version of the buttons and flowers! 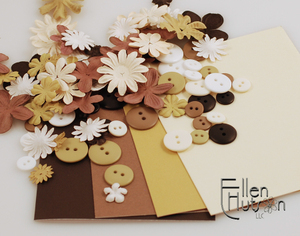 And last, but certainly not least we have a neutral version (buttons and flowers)! We had 198 posts and so running the random number generator we have two winners!!! Great give-a-way! I am thinking the lined paper is my favorite. I could use it for the boys' school pages. My favorite backgrounder stamp is polka dots. 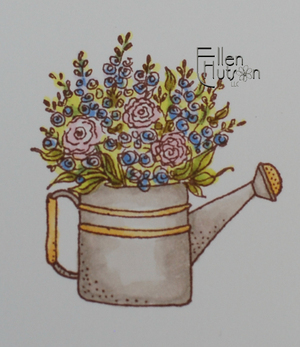 Love it with the new swiss dots Cuttlebug embossing folder. Thank you to all who have left comments and played along. Would Debbie and Linda please send me an email with your snail mail address and so that we can get your backgrounders out to you ASAP!!! Remember that our promotion, CHFFun, runs through tomorrow and it will include the two latest backgrounders - Dots and Circles, and Tiled Scallops. These will be available for sale starting at Midnight EST tonight. 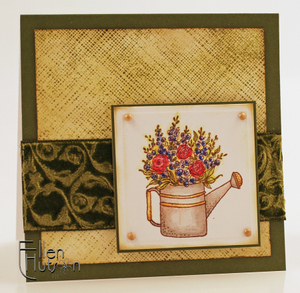 The first challenge I missed was partial backgrounder stamping - fading or stamping part of a layer. The texture in the dress and artwork in the magazine photo were wonderful to emulate for this particular challenge. I used the Rice Paper backgrounder to create the striations in the Raspberry cardstock and the Scratched Grid backgrounder to create the uneven appearance on the Lagoon cardstock. To create this uneven texture I place my backgrounder face up on my worksurface. I do not ink it evenly to begin with and then when I place my cardstock on the surface I let my fingers do the walking, so to speak. Rather then pressing evenly over the entire surface I only lightly press in an uneven manner on the areas I want to catch the detail. To really make the white pop off the raspberry cardstock I did use white embossing powder and was careful to only leave a small amount on the surface, brushing away any excess from many spots. The next challenge was to stamp on anything but paper. I have been dying to show you why I purchased and added clear buttons to my store. VERSATILITY - gotta love it. I began by creating a little tab pull for my button as shown below. I love using blue painters tape for this type of use being it always comes off easily. As you can see I placed my Scratched Grid backgrounder face up and then inked it with Palette ink. Using the tab on the button I was then able to set it straight down on to my backgrounder, ink it up and then pull straight up. I then allowed this to sit and dry. Now how long it needs to dry I am not certain being I never get to complete a project once I start it - LOL! So mine sat for maybe an hour before I got back to airbrush it. I doubt it takes anywhere near this time to dry, but... I'm just not certain. To add color to the buttons I then airbrushed them with my Copic Markers. Gotta LOVE versatility! Being the buttons are clear I used embroidery thread to attach them - neatly stitching them into place. Last but not least I just needed to add some additional texture to the base white. Piercing is always one of my favorite fallbacks for adding texture in an inconspicuous manner. I love the fact that the Nestability dies are open in the center. 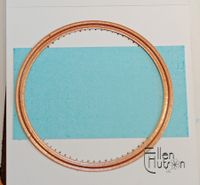 I used a larger size Nestability circle as my outline to aid in keeping my piercing "round". I could never eyeball round - LOL! Hopefully this post will once again leave you with a "cool idea feeling!" Gotta love a few good challenges for bringing out the creativity within each of us and the CHF challenges have been so much fun! So I challenge you to try something from this post - use the sketch, use the partial stamping, use the button idea, use the piercing or use the magazine ad with the mod colors. Just sit back create and enjoy! Just a quick reminder to let you know that we have a new Inchie Challenge posted over at Inchie INKlings, as well as the submissions posted from last month's challenge! Sometimes I just have to create to have fun - this creation was one of those! I am constantly inspired by the things that I see around me. Recently a brochure from the local shopping mall arrived in my mailbox. It was fun to sit down and quickly browse through it. What impacted me the most in this particular issue was the clothing in multiple ads - they were all black and white with just a touch of some sort of accent. That accent was a bright/bold color! This inspired me to just go for it and see if I could bring a similar feeling to a card I had in mind. 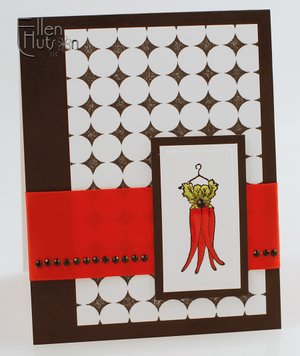 I stamped the backgrounder (Open Circles) and the image (Chilis and Cilantro) using Palette Noir. The stamped image was immediately followed with embossing powder. I had thought that I would just leave the image black and white and so I wanted to the black/white detail to pop. The color pop was added with this beautiful, wide red satin ribbon. 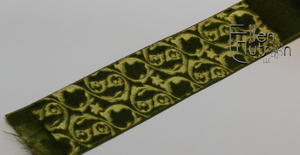 BTW what do you think about this ribbon - I would love to hear your response as to the width! The I added the black gemstones. I must admit that I was wondering what on earth one would do with black gemstones, but this hit me like a lightning bolt - talk about bling! Now we're talking! A little Crackle Accents on the Cilantro and Glossy Accents on the Peppers, another larger black gemstone to cinch the waistline and voila - we have "Hot and Spicy". 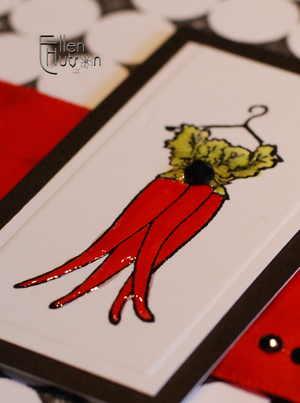 So what can you do with a "Hot and Spicy" card? I thought this bold little number would make a wonderful congratulatory card for someone who has been making an effort to lose weight - or how about an anniversary card? ETA: Please note that there are new posts following this one - I placed it as a sticky until the drawing for the blog candy is complete. Thank you for stopping by! Have you heard the news? Cornish Heritage Farms is having a major league "Backgrounder Blitz" over this next week!!! 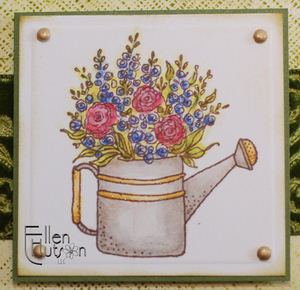 We here at Ellen Hutson LLC are thrilled to be playing alongside them and will do our best to stimulate your creativity and give you new ideas as to how to use these wonderful stamps as well!!! In honor of this special occasion we will have a week long promotion beginning today on the CHF backgrounders in our store. Be certain to enter the code: CHFFun in the Promo Code area as you are checking out to receive a 10% discount on all backgrounders that you order from us during this week. Today's post is to play along with the wonderful challenges CHF has created for this week. 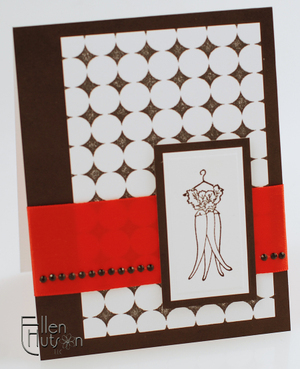 The first backgrounder challenge is to create a card using Lisa's awesome sketch! 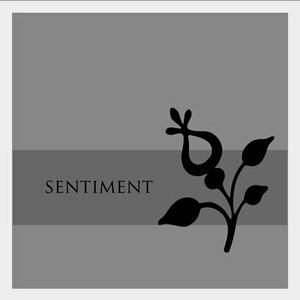 There are two techniques I would like to share with you that I used as I created my project for today's challenge. The first is a real WOW in my opinion and I haven't seen it done much lately. The key to success with this technique is the velvet that you select. I find that a man-made velvet works the best. In this case I used a velvet ribbon that is 100% rayon. This technique is one that works beautifully with the deep-etched red rubber backgrounders!!! Place your backgrounder face up on your work surface, I used the new Sophisticated Swirls. I preheat my regular large iron with it set on rayon/polyster. Spritz the face of the ribbon generously with water - I have a mini mister filled with water that I always keep by my work surface, it works fabulously for misting the velvet. Place velvet face down (fuzzy side down) on the backgrounder and then iron from the backside of the velvet. I would typically place a piece of typing paper between the ribbon/backgrounder and the iron, but I wanted you to see the layering process without it being covered. 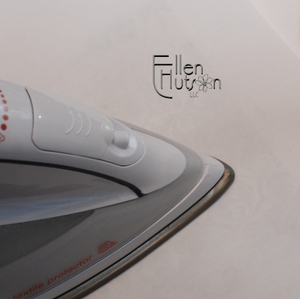 Press your iron down firmly and move it about on the ribbon surface so that you do not create a hot spot. It is SO beautiful and elegant in real life - I hope that you can get a sense of the beauty from this picture. This next technique is one that I have always loved. From the beginning of my stamping adventures there has always been a sense of wonderment as I watched embossing powder melt. Now being I photographed and worked this portion of my project before deciding to use the velvet I didn't quite think it through enough - LOL!, so my final project doesn't even use this beautiful creation. But at least you get the idea as to how to complete the background of the card I will share below. 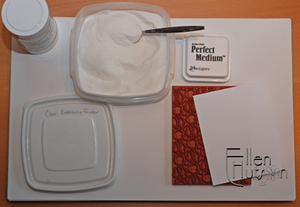 Tip: Before I begin I want to share how it is that I keep my Clear Embossing Powder. Being it is one that I use a LOT I purchased a large supply and placed it in a rubbermaid type of storage container. I do this so that I do not have to clean up the powdery mess that can occur if you use a tray. I love the convenience of just spooning the powder on to my project and letting the excess fall back into my container! OK - on with it Ellen! To begin I place my backgrounder face up on my work surface and ink it completely with a "sticky" ink. In this case I used Perfect Medium, but Versamark or any other Clear Emboss Ink will work as well. 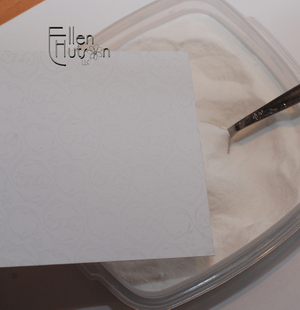 I then spoon the embossing powder on to the inked paper surface and dump the excess powder back into my tub. 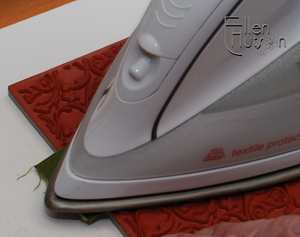 I then heat set it using my embossing heating tool. Be certain to watch the surface as you do this so that you don't overheat it and melt the powder until it is completely gone. When it becomes glossy that is the time to move on over with your heat tool. It is like magic as you watch the surface begin to glisten in the light. Now it is time to make the background pop! 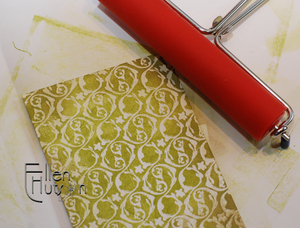 Ink your brayer using a dye ink - I love using the large brayer being it covers the background completely in one motion. This does not mean that you do not need to go back and forth across your surface a number of times, but it does make it so simple to get an even ink coverage. I used Adirondack Lettuce as the main color for this project. Being that I wanted a more distressed look and did not want the white to pop off the paper I then used my iron to "melt" the embossing powder into a piece of scrap paper. Iron over the paper covered image completely - then move your scrap paper to a new location and repeat. Do this until all sheen has disappeared. I then used my Ink Blending Tool and Adirondack Pesto to distress the edges and "buff" out some of the white in the center of the image. My focal image is the Lockhart Delphinium and Peony Watering Can. These are two of my favorite flowers and I can't believe that I hadn't given this beauty any "love" yet. To color the image I used a combination of Copics and Prismacolor color pencils. This truly is my favorite combo. The intensity and dense coverage that the Copics provide, followed by the Prismacolor pencils which just grab the tooth in the top surface of your paper gives such incredible depth to your image. I began with the Copic Markers - BV000, R46, R81, Y21, Y21 Special, YG00, YG63, YG95, B21, B23, W1, W3. I truly wish that you could all see this image up close - the detail that jumps out when you add the Prismacolor color pencils (Limepeel, Goldenrod, Burnt Ochre, Process Red, Warm Gray 80%, Pink Rose, and Imperial Violet) along with Spica Glitter Pens (Gold, Sky and Pink) is so "purdy". To help celebrate this fun learning experience and backgrounder blitz we would like to give away two of my FAV backgrounders - yep that's right. All you need to do is leave me a comment below telling me which backgrounder is YOUR FAVORITE! You have until Tuesday morning to leave your comment - at that time we will do the Random Number Generator thingy and select two names from the comments section. 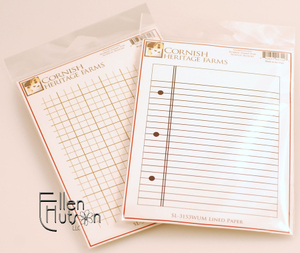 The first number drawn will receive the Lined Paper backgrounder and the second number will receive Grid Paper. For yet another FABULOUS technique you must head over to the CHF Forum and read Mona Lisa's Distress Ink Burnt Edge it is WAY cool. They also are running some of the most fun challenge's - like the one I posted above. It is important to me that I try and keep you as informed as possible regarding the products you purchase from us and therefore the reason I am sharing this little "news update" regarding the packaging of the Complete Nestability sets. In an effort to minimize human error (hmm - yes even we make mistakes - LOL!) The Complete Nestability sets are now packaged in one single large clamshell. As you can see this package currently lies flat and is quite large, thus requiring a much larger shipping box if kept flat like this. These clamshells have been designed with plenty of room between each individual pocket to allow us to bend the packaging to put it in a smaller box for shipping. We will do our very best to provide you with the most economical method of shipping, as well as maintain the integrity of the dies. Our store is currently filled with complete die sets and we finally have our Gotta Have It All's back in stock as well. We will make every effort to get your orders out to you quickly - thank you! I would like to thank one of our loyal customers, Angela, for bringing this to our attention. With life speeding along faster than I can blink an eye the following change blew right past me. 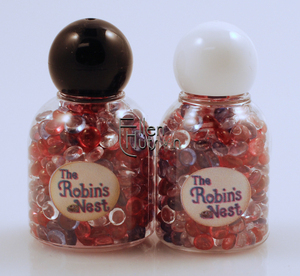 When we received our last order of Dew Drops I had considered changing the photos in our store because The Robin's Nest had changed out what I thought was the cap only on their bottles. It appeared that they had relaced the black lid with a white lid. I thought it was purely cosmetic and didn't have the time to reshoot all the pictures. What I did not realize is that they have changed out the entire bottle. Sadly I must tell you that the new Dew Drops are arriving in bottles that are smaller. They hold approximately 1/8 of an ounce less than previously. This came without any warning to us whatsoever and is a complete shock being the prices have increased. I have been meaning to change the price on our store as well, but haven't gotten around to that either. Below is a picture that I would like to share so that I can keep you informed. We will do our utmost to update our website as quickly as possible, but please know that we are sad to tell you that the price is increasing and the size is decreasing. I am so sorry! So with this news I would like for you to take advantage of the inventory that we have! For the next week, until April 21st we will continue to keep the Dew Drops at the current price of $4.99. Unfortunately at that time we will be raising the price to reflect the additional cost to us. The new price will be $5.99. Currently we have a mix of the old black cap bottles and new white cap bottles. We have no way of determining how many of each type of bottle we have in inventory and therefore we will not be able to let you know which bottle you will be receiving. Please assume that you will be receiving the white bottles being we have very few black capped ones left. Needless to say it will be a substantial savings (17%) if you purchase these in the next week before we must readjust our pricing to reflect the amount we are being charged. Thank you again Angela for bringing this to our attention and I apologize for not realizing this sooner. We appreciate your enthusiasm for this product, but would like to hear from you as to whether or not you would like to see us continue to carry it or not with all the changes above. Please email us at customerservice@ellenhutson.com if you have any concerns or questions. I truly apologize for not being here or on Inchie INKlings for the last week plus. Life is currently zooming down the highway full speed ahead. This week is Spring Break, so my kiddos are hanging here with me. We are also in the main throws of planning a business move to a different location. With that move comes a LOT of planning in order for everything to run smoothly. You know me - all i's must be dotted and t's crossed - LOL! This move will take place the beginning of May. I will be certain to keep you updated in case we have any glitches with our phones or computers. That is my primary worry - but fortunately we can still operate from here if things do not get up and running quickly in the new location, so please do not worry about it - we will still be giving you top-notch customer service. Your needs come first and I am confident that we will be able to continue to take good care of you. So one challenge at a time! I am so grateful for my business associates Debbie Olson, Michelle Wooderson, Trudee Sauer, Cindy Lyles and Sharon Harnist. The incredible inspiration and education they provide to each of you on my behalf is so appreciated! Please continue to check in on their blogs to see what amazing projects they have created to inspire you and share new ways for you to use the products which you have purchased from us. I hope to be back soon with my own inspiration. Each day I have told myself that today is the day that I get to create, and alas the day has passed wtihout any creations. Please do not forget the Inchie INKlings challenge. Remember there is a prize package awaiting some lucky participant. The submissions are trickling in - so chances are pretty good that if you particpate you just might win Ü We will be posting those submissions soon, so if you have sent us an Inchie or an Inchie file we will be putting the gallery up in the near future. We are also in the process of creating our second newsletter - sign-up at the bottom of our homepage. Be certain to scroll all the way to the bottom of the page to where it says "Join our mailing list", to receive special tutorials, news and store offers delivered to your email box. Thank you again for your continued patience and support!